- old time handmade in Boleslawiec, Poland. If you love old time handcrafted pottery and stoneware, we're sure you'll enjoy viewing the selection of products we're offering. Polish pottery is probably the finest pottery produced in the world. Boleslawiec pottery line is classified as high-density stoneware and renowned for beautiful hand-finish, original style and high practicality. 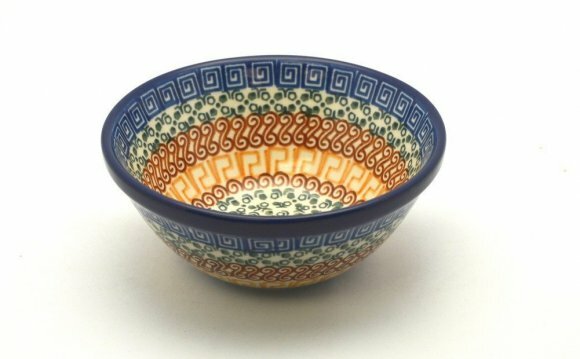 Each piece of Polish pottery is hand-formed and hand-decorated using the punch technique, unique to the Boleslawiec ceramics. Polish pottery is oven, microwave, dishwasher, and freezer safe. Please click the above links to browse our store. Our collectable , as sturdy as it is beautiful, comes in the variety of forms and . We offer casual , , , , and , , , and . Polish pottery stoneware is completely safe for use with food. Our pottery comes from famous Zaklady Ceramiczne Boleslawiec and we curry 13 stunning including , and . This genuine is immensely practical and festive enough for entertaining as well as everyday use. A winning combination of function and beauty makes a striking addition to any collection!